Buy-to-let landlords will soon be able to apply for an early bird discount for Scarborough Borough Council’s new selective licensing scheme, known as Scarborough Central. The discount for the scheme, which was approved by the council in November 2018, will be in place from 1 April to 31 May. 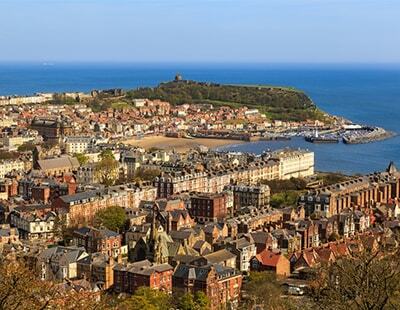 The early bird discount of £50 per licence, which will cover parts of the Castle, Central and North Bay wards in Scarborough and will last for five years from 1 June to 31 May 2024, is designed to encourage landlords to apply as early as possible for a permit. Discounts will also be available for applications where landlords are members of certain landlord organisations and for multiple licence applications. The licence requires landlords to meet a range of licensing conditions, including a current gas safety certificate if there is gas in the property, working smoke alarms and safe electrical appliances. Landlords must have suitable tenancy agreements and appropriate management arrangements in place, including those for dealing with anti-social behaviour and security. Proposed licence holders and managers will also be required to prove that they are ‘fit and proper’ persons. If a landlord fails to apply for a licence this may result in prosecution and they will receive a fine. Where landlords fail to comply with the licensing conditions and/or fail to complete any works required as a result of an inspection of the property, the council will initiate enforcement action, usually in the form of a formal notice. Failure to comply with the notice could result in the council prosecuting the licence holder. Any prosecution that arises from not being part of the scheme or not complying with the conditions of the licence could also lead to the licence holder no longer being classed as a ‘fit and proper’ person. The new scheme follows on from the initial selective licensing scheme, which covered a different part of Scarborough and was launched in 2017. More than 530 licences have been issued in the original scheme, known as Scarborough North, which covers different parts of Castle and North Bay wards.